With our own in-house jewelry repair shop, Royal Jewelers offers the area's highest quality craftsmanship. Given our state-of-the-art shop and equipment, our services promise to be done in a timely manner and to exceed your expectations. Searching for a handmade piece? Our skilled craftsman are always willing to create unique and one-of-a-kind jewelry. Royal Jewelers uses the PulsePoint laser welding machine, a superior technology which enables us to do things that are not possible with any other technique, method or machine. We can provide top-notch service in less time and do so with un-matched results. Here at Royal Jewelers we have our own in-house jewelry repair staff who’s expertise is in fine jewelry repair. Bring in your item(s) that are in need of repair and we will take care of you. HOW IS MY JEWELRY REPAIRED? 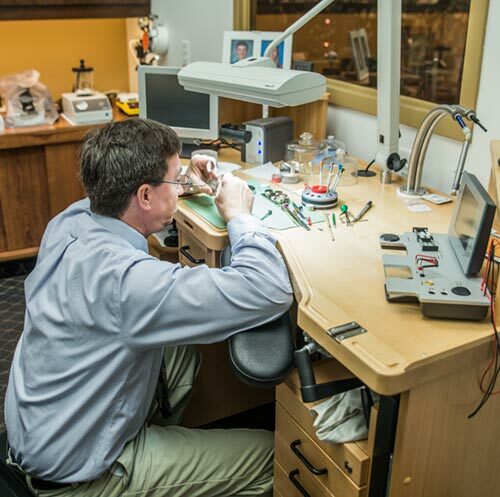 We use state-of-the-art equipment to repair and service all of the fine jewelry that comes into our store. We make sure to use the best technology to make sure your jewelry is up to the Royal standard. Our in-house, CW21 certified watch maker will keep your timepiece reliable and stunning. Geared with state-of-the-art equipment and extensive experience, we are able to provide a full watch repair service for your timepiece. 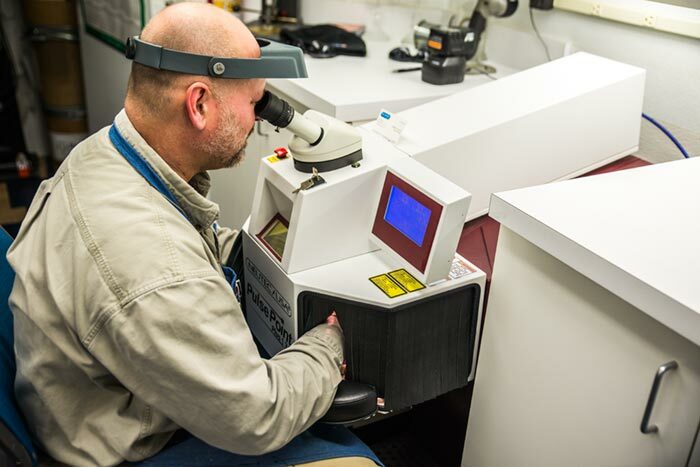 CW21 Certification means a watch repair specialist has proven to a board of professionals that he or she has the skills required to perform quality repairs on the materials for which they are certified. The 21st Century certification exam involves a stringent 3-day examination of 4 major areas on the technical aspects of watchmaking. Here at Royal Jewelers we have our own in-house watchmaker. Scott Dauner is a Certified Watchmaker (CW21). Royal Jewelers is a full service repair store. We specialize in End to End Service. HOW IS MY WATCH REPAIRED? We use state of the art equipment to repair and service all of the watches that come into our store. We make sure to stay up to date with all of the latest technology to make sure your watch will always run like new.